Lock in a great price for King Alexander – rated 8.1 by recent guests! The breakfast was great and the bar was fun. The best part of this property was how helpful the staff were. They exchanged money for us free of charge, helped guide us on where to hike in the area, and spoke wonderful English. Great location. Well maintained hotel. Situated in high area for the town, gives you great look. 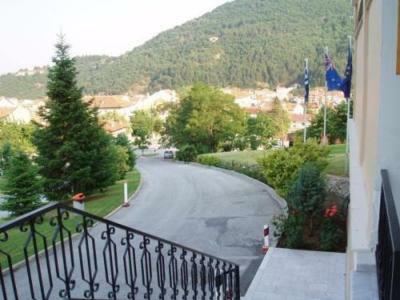 Excellent location of the hotel, great view of the town and nature above town. Stuff was very professional and friendly. 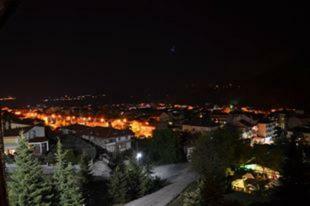 Great view of Florina, excellent location, nice and clean. The view is amazing, the staff is very friendly. 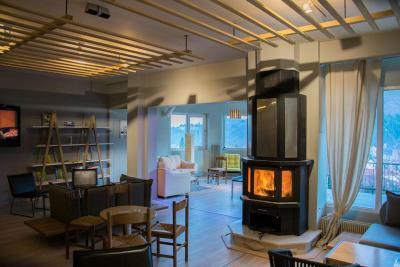 Its location is suitable for someone who is interested in staying in a simple hotel and be ready for nearby excursions. The room space is just adequate for two persons. 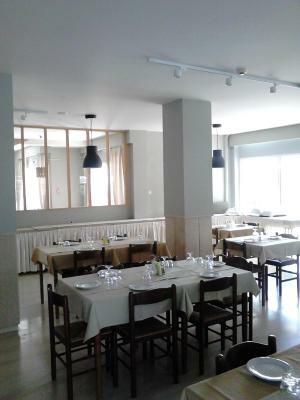 There is always staff in the bar / restaurant, and the service is just ok (in terms of time). 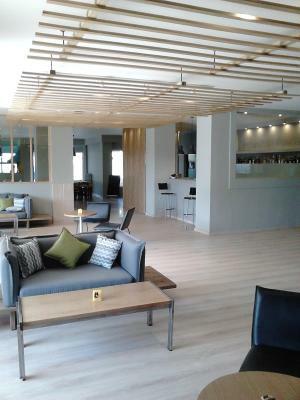 Overall, it is a moderate hotel, considering its good price. Exceptional service and the hospitality was amazing. Friendly.. best food.. could stay a month!! Informations at arrival. Prespia festival. We attend it unplaned - super. The breakfast is amazing, the Greek/Australian owner is very welcoming, the rooms are comfy! King Alexander This rating is a reflection of how the property compares to the industry standard when it comes to price, facilities and services available. It's based on a self-evaluation by the property. Use this rating to help choose your stay! 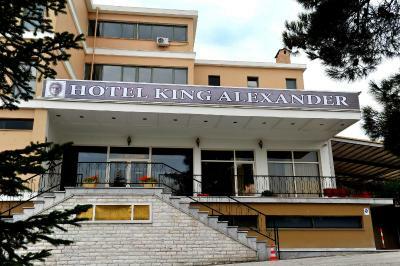 The King Alexander Hotel overlooks the picturesque city of Florina. Expansive hills and mountains surround the hotel. Each room features a private balcony with panoramic views. The rooms are equipped with air conditioning and TVs. The bathrooms feature bathtubs and are complete with bathroom amenities. King Alexander offers a highly-praised buffet breakfast served daily. The Museum of Contemporary Art and the Archeological Museum of Florina are both a short walk away. Popular locations for skiing are less than a half hour away by car. When would you like to stay at King Alexander? 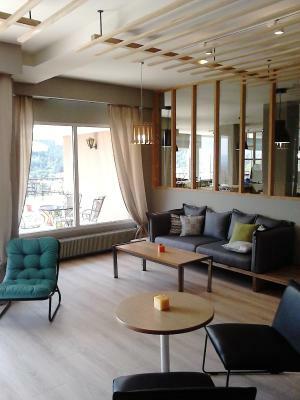 Featuring a balcony with panoramic views, the room offers air conditioning and a TV. House Rules King Alexander takes special requests – add in the next step! King Alexander accepts these cards and reserves the right to temporarily hold an amount prior to arrival. The pillows were hard, some towels had holes. The biggest disadvantage was the breakfast, with products of very low quality, without a great variety, especially for someone who is committed to more health nutrition. With so much local products, it is unbelievable that the hotel prefers only one kind of coffee, one kind of low quality ham and cheese, and not home made marmalade. In addition, there is not always a person in the reception. view from balcony. easy to go to the center. Bed, room carpet and bathroom need renovation, they must be from the '80s, but to be fair, I must say that the room price is cheap, so you get what you pay for! Terrible smoke at the lobby during our stay. We had to stay up in the room cause everybody was smoking at the lobby, which was connected to the restaurant / breakfast room and the reception. Someone could smell the smoke till the second floor! Bad idea to put a TV at the children's area. How can a hotel be family friendly, when smoking is allowed inside the property? The location. The bougatsa and the tsoureki.